Last month, Qualcomm held their annual Snapdragon Tech Summit to unveil their latest products: the Qualcomm Snapdragon 855 mobile platform for smartphones and the Qualcomm Snapdragon 8cx for PCs. Qualcomm also dedicated a full day at the event to talk about the state of 5G connectivity in the industry. Representatives from U.S. carriers Verizon and AT&T were present to discuss their 2019 roadmaps for the expansion of 5G, and we even got a limited (and flawed) demonstration of 5G at the venue. We’ve heard Qualcomm and their partners talk about 5G for over 2 years now, but we’re finally going to see the technology deployed this year. Later this year, we’ll have a handful of 5G-capable flagship Android smartphones connecting to 5G networks in parts of Europe, America, China, and Korea. As carriers prepare their networks for the new technology, consumers are left wondering how 5G will improve their lives. 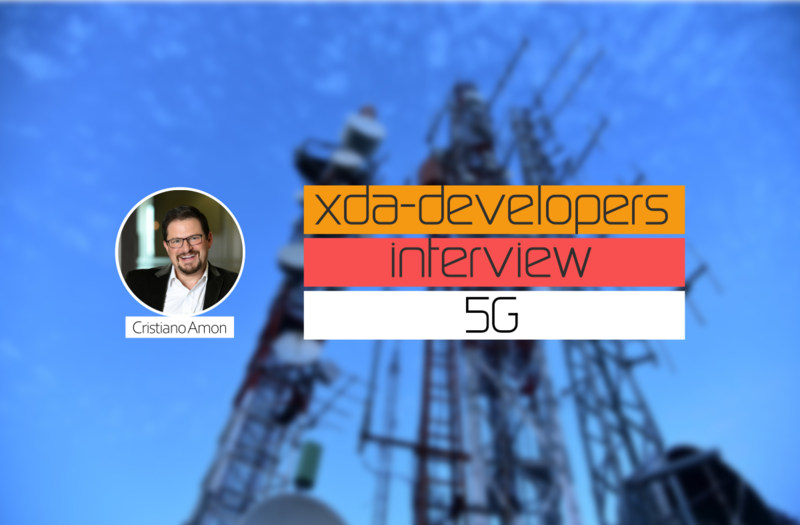 At the Snapdragon Tech Summit, we talked to Qualcomm’s President Cristiano Amon about the expansion of 5G in 2019 and the new use cases that 5G opens up, especially in regards to edge computing. Cristiano Amon: “I’ll answer the question by first saying that when we compare the 4G transition with the 5G transition, the complexity of 5G is very high. All of those challenges across power consumption, terminal size, exist. But there’s a difference: The smartphone maturity is very high, so the bar is higher than it was with 4G. At the time, some of the 4G devices at launch were not very mature—a lot of the application use cases were still not there. Today, you can do everything on your smartphone you couldn’t do back then. Just beyond multimedia and games, you have mobile banking—pretty much everything you do on your computer you can do on your phone. Productivity is high on the phone, so those things are now there. A lot of people had BlackBerries at the time, and now what we have is a much higher bar. The expectation is, if you don’t get a phone that does everything your 4G phone does today plus some more, why would you upgrade? So that’s why you see, in contrast to what happened with 4G, a lot more proof points of this technology. 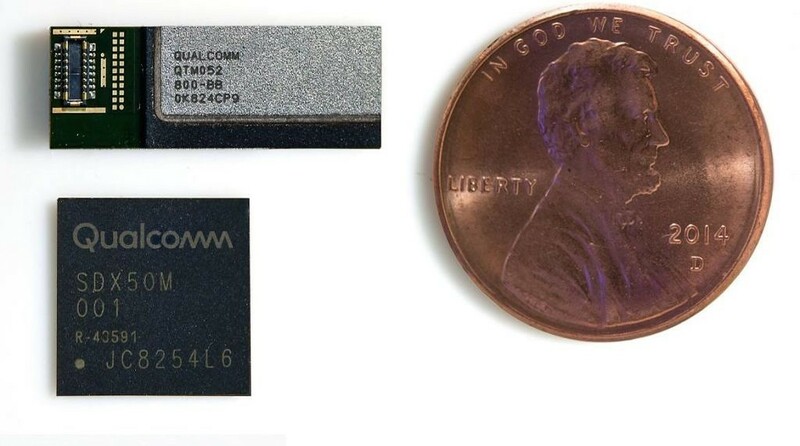 Qualcomm QTM052 mmWave Antenna Module and the Snapdragon X50 5G Modem. Source: Qualcomm. Cristiano Amon: “Why don’t we do this: let’s go over time. There’s some things we know, somethings we don’t know. How do we start and go into this journey to the future? So here’s the premise: Let’s assume that when 5G launches, when you are in 4G mode, you can do the same thing you do with a 4G phone right now. It’s a multi-mode device, and let’s assume that the battery life is there and all those things so you feel compelled to upgrade. So at that point, and within coverage, there are a few things that are going to be easy to see just based on the fact that the technology gives you so much more bandwidth and lower latency. One thing that will be easy to see is the fact that today you just stream music when you want to listen to music versus downloading it; you’ll be able to do that with 4K video so video is going to be very ubiquitous. It’s going to be as easy to do, and as fast to do, as with music today. Also, you’re going to be able to have a whole different experience when you upload things to the cloud. So, take a high quality picture and it instantly goes to the cloud. You’re going to have less choices as a user about what do you store locally, whether or not to put it in the cloud. It’s just going to be a full convergence between the cloud and your device with 5G. So that’s the first thing you’re going to see: Whatever you do becomes much faster and becomes much better. And some new services—some I should say different—that you do today, like you did music before, are going to become more ubiquitous. Video is going to be a great example, which is that people are going to be streaming videos as easily as Spotify is for music. But then we keep going down our future lane, and if you have the high bandwidth and the low latency, then the next thing you can do is you can start building processing at the edge. So you get something like today, like the Fortnite phenomena; Fortnite has been a great thing to happen for us. For the first time, we now have mobile in the mainstream gaming industry—it is not casual gaming anymore. We’ve got casual mobile gaming, and then we got console and PC gaming, but now it’s everything. It’s cross-platform for Fortnite. Fortnite is the best thing to happen for mobile gaming and for developers since there’s a lot more mobile users. So now you have your 5G device and you have a mature network. Now, with computing at the edge, you want to play a game that requires more processing capabilities than your smartphone—that’s your gaming co-processor right there. 5G is at length, so all of a sudden, you’ll be able to play console games on demand without having to carry all of the silicon in your phone. Then we keep going down the future lane as the processing evolves at the edge, all of a sudden, you could have some use cases that also take advantage of both the processing and low latency. I like to refer to the Netflix series Black Mirror. If you walk around using the Oculus Go, humans will like that for certain applications, but we’re not going to walk around with that. But humans will not reject this. I think Qualcomm has shown how we could show you 5G in a device like this when it has the 5G radios, as you have some rendering capabilities. But then you rely on 5G to do the split rendering on the cloud like the game example I gave you. Then, when the coverage is there and the latency is there—and the latency is key for you to do things in the cloud and come back to you—I will be able to get into this room and look at you, Mario, before Catherine tells us “this is the guy that said bad things about [the] 810,” you know. I will go to your LinkedIn and see, “are we connected in any way?” and then I say that “have you met this person before?” because I read it as it’s registering in the cloud. Those types of use cases, they’re not that futuristic. What the technology enables is actually building the coverage and building its processing. Cristiano Amon: “Completely complementary. I think one of the common mistakes is to think that the word moved computing is here or there—it’s about computing involved. I’ll give an example outside of split rendering, but maybe easier to understand. So you have a phone and you’re doing certain things with your phone. Each and every one of us is doing a lot of productivity in our phones. I guarantee you this year you did more productivity in your phone than you did last year. Now, for certain productivity, you just go to your PC, which is a different type of processing and computing experience right now—that’s why you’re going to see more announcements from us this week as we move into the PC space. And then somebody else in the office will have a workstation, because it’s not enough—you need something else. It’s like that game example, you’re going to have a lot of computing, and this will continue to evolve. A lot of computing at the edge will continue to evolve. Cristiano Amon: “The best way for me to answer that question is to divide it up into phones and non-phones. When you transition to a 5G smartphone you’re going to have a lot of the technology launches in 2019. I think you’ve heard about some of the market starters and their flagships coming in. By 2020, that becomes significant in volume. So when we think about going from 19 launches like in the projection, you’re going to have so many launches in the first half. I’ll say if you look at a market like the United States, most likely when you get to exactly this time next year, you will see every Android flagship device is going to be 5G capable and will also work very well on 4G. But by 2020, we expect to see that become significant in volume, because the coverage is going to be more mature. Cristiano Amon: “I’ll answer your question, but I would like to give you some context. I believe as a use case in a lot of the carriers’ business model, it is becoming stronger, especially some of the things we have done ourselves. In addition to using the 5G for broadband application because you have the speed and the latency, we also increased the viability of deploying special millimeter wave by combining our Wi-Fi mesh technology that you see us doing for full house coverage with our SON technology that basically dominated retail in the United States. Combine that with 5G, you can have whatever the environment is for broadband, whether the propagation is favorable for millimeter wave for example, or it isn’t, it doesn’t matter because if you get to the wall, you can go to a node of the mesh and then the mesh takes the broadband inside the home. And I think 5G will enable a lot of broadband cases. The economic equation is better if we go fiber to the head and up to the curb versus fiber to the home. 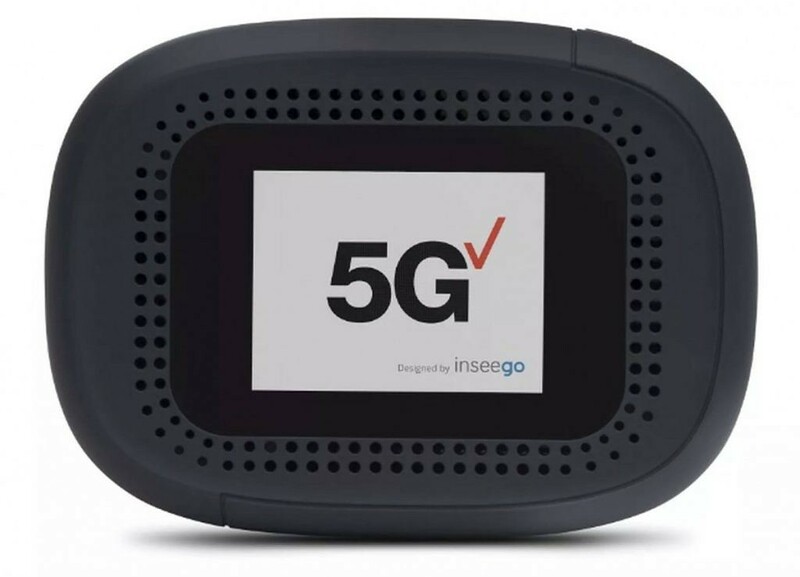 Inseego’s 5G Hotspot for Verizon. Source: Inseego.